Determining the biological details and mechanisms that are essential for the generation of population rhythms in the mammalian brain is a challenging problem. This problem cannot be addressed either by experimental or computational studies in isolation. Here we show that computational models that are carefully linked with experiment provide insight into this problem. 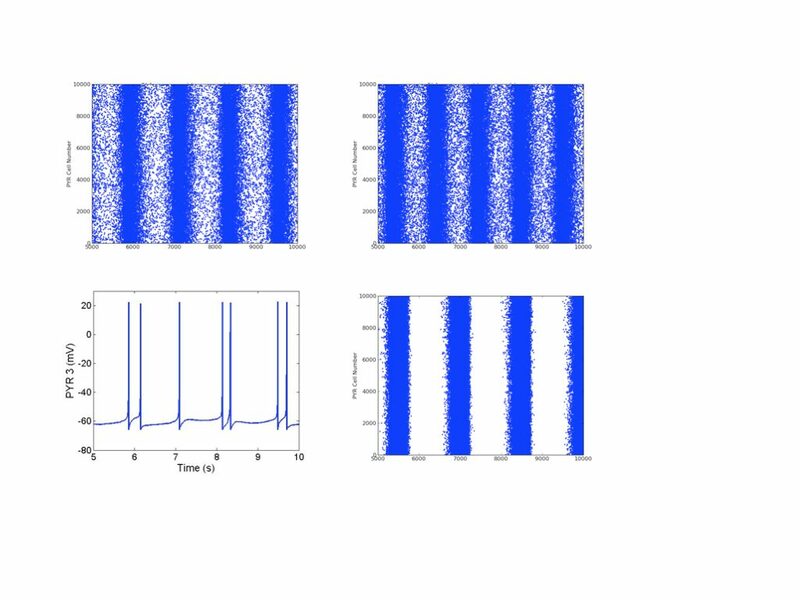 Using the experimental context of a whole hippocampus preparation in vitro that spontaneously expresses theta frequency (3–12 Hz) population bursts in the CA1 region, we create excitatory network models to examine whether cellular adaptation bursting mechanisms could critically contribute to the generation of this rhythm. We use biologically-based cellular models of CA1 pyramidal cells and network sizes and connectivities that correspond to the experimental context. By expanding our mean field analyses to networks with heterogeneity and non all-to-all coupling, we allow closer correspondence with experiment, and use these analyses to greatly extend the range of parameter values that are explored. We find that our model excitatory networks can produce theta frequency population bursts in a robust fashion.Thus, even though our networks are limited by not including inhibition at present, our results indicate that cellular adaptation in pyramidal cells could be an important aspect for the occurrence of theta frequency population bursting in the hippocampus. These models serve as a starting framework for the inclusion of inhibitory cells and for the consideration of additional experimental features not captured in our present network models. This work was supported by NSERC Canada. The online version of this article (doi: 10.1007/s10827-015-0577-1) contains supplementary material, which is available to authorized users. Krupa, M., Gielen, S., & Gutkin, B. (2014). Adaptation and shunting inhibition leads to pyramidal/interneuron gamma with sparse firing of pyramidal cells. Journal of Computational Neuroscience, 37(2), 357–376. doi: 10.1007/s10827-014-0508-6. Nicola, W., & Campbell, S.A. (2013a). Bifurcations of large networks of two-dimensional integrate and fire neurons. Journal of Computational Neuroscience, 35(1), 87–108. doi: 10.1007/s10827-013-0442-z. Nicola, W., & Campbell, S.A. (2013b). Mean-field models for heterogeneous networks of two-dimensional integrate and fire neurons. 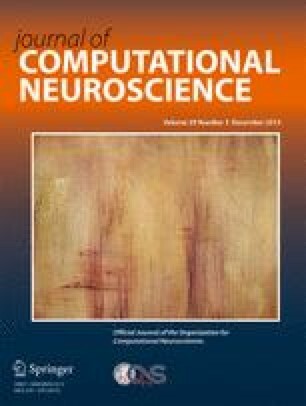 Frontiers in Computational Neuroscience, 7, 184. doi: 10.3389/fncom.2013.00184. Nicola, W., Ly, C., & Campbell, S.A. (2014). One-dimensional population density approaches to recurrently coupled networks of neurons with noise. arXiv:1408.4767. Yoder, N. (2014). Peak Finder: Noise tolerant fast peak finding algorithm. http://www.mathworks.com/matlabcentral/fileexchange/25500-peakfinder.